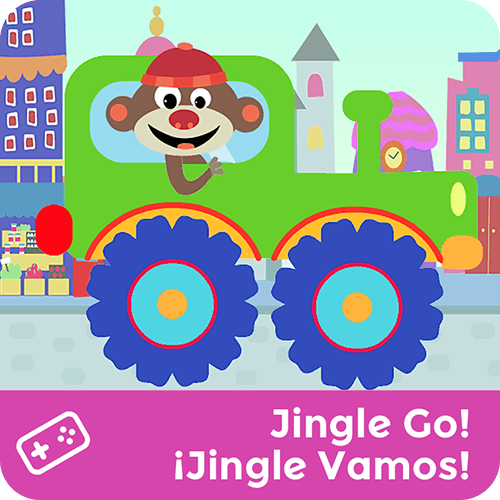 Jingle GO! / ¡Jingle VAMOS! Let's go for a ride! ¡Vamos a pasear! Help Marco and the gang get where they're going, learning vocabulary for vehicles and locations as you play.